Is it possible to be a committed Christian and a rock superstar? Can political activists make good music? Do hugely successful rock bands really care about AIDS and poverty in Africa, or is it just another image-enhancing schtick? U2 and Philosophy ponders these and other seeming dichotomies in the career of the Irish supergroup. For over two decades, U2 has been one of the biggest acts in rock music. They've produced over a dozen platinum and multiplatinum records and won 15 Grammy Awards. Critics everywhere have praised the band's thoughtful, complex lyrics and the artistry of their music. At the same time, Bono, the group's lead singer, has dedicated himself to political and social causes, blurring the line between rock star and respected statesman. 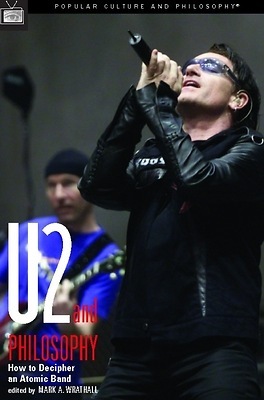 Offering fresh insight into the band's music and activism, these thought-provoking essays allows fans to discover philosophy through the eyes of U2, and rediscover U2 through the eyes of philosophers.